We’ve had a very rainy summer thus far and the cucumbers are coming in fast. This salad highlights the crisp coolness of cucumbers by contrasting with the creamy richness of avocado. The proportions for this recipe are not exact, so make adjustments according to taste and your abundance of cucumbers. The secret to a delicious and crispy cucumber salad is to salt them before adding to your recipe. Prep the cucumbers by peeling, seeding and chopping them to bite size. Place them in a colander or on clean towels and sprinkle generously with salt. 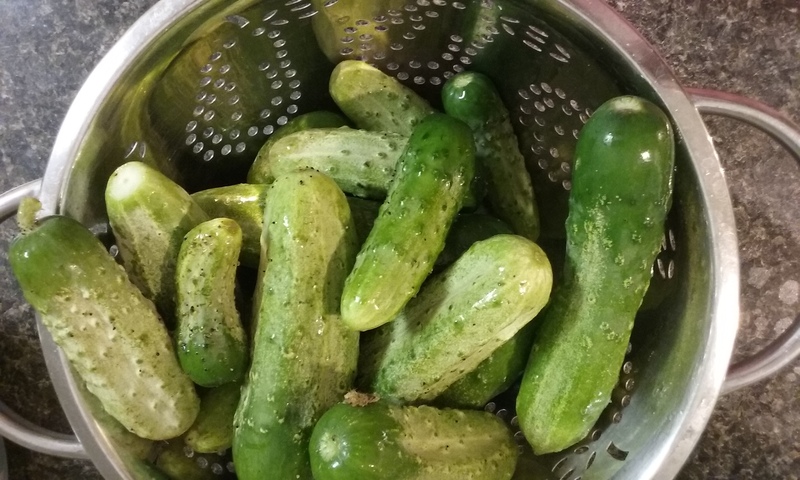 The salt draws out water and tightens the cucumbers so they stay crisp and delicious. Another trick is to wait until the last minute to add the avocado so that it doesn’t fall apart or get brown. The vinegar will prevent browning to some degree, but avocado is best when really fresh. Peel the cucumbers and slice them end to end. 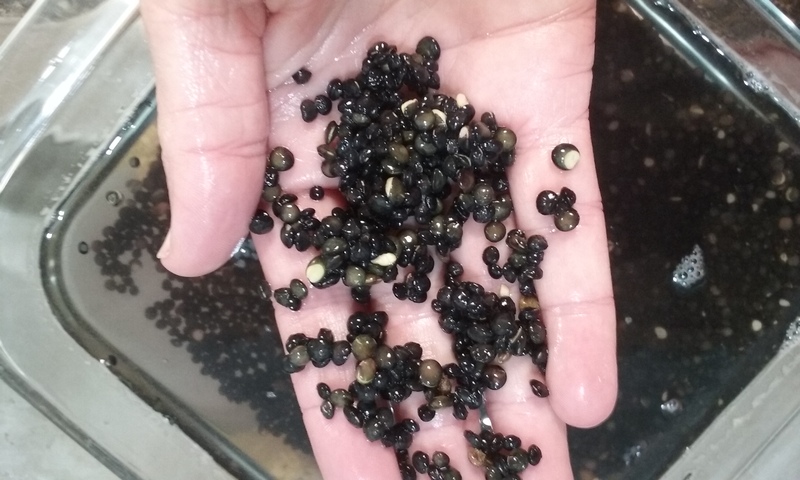 Scoop out the seeds with a spoon. This is not necessary if you’re using very small cukes. Chop them to bite size pieces and place in a colander over a bowl. Sprinkle on 2- 3 teaspoons of salt and mix in really well so each bit has some salt. Leave to drain for at least 15 minutes and up to an hour. 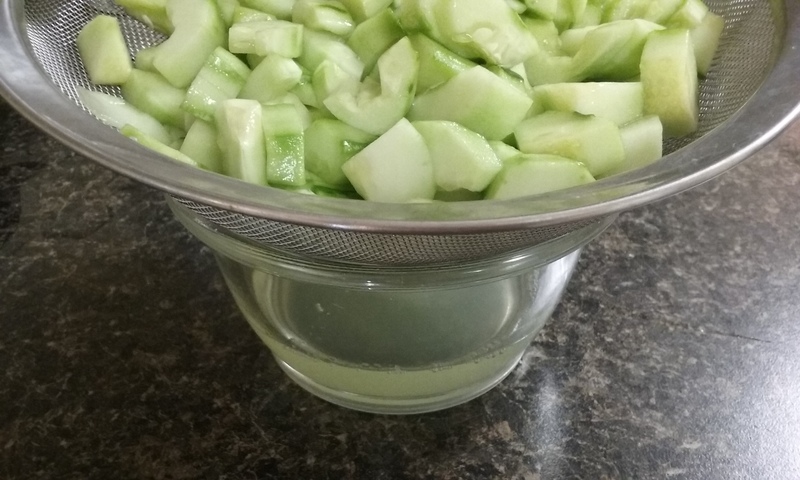 Discard the liquid, pat the cucumbers dry on a clean towel and place in a bowl. Slice the onion very thin (I use a mandolin) and combine with the vinegar and some black pepper in the bowl. Mix well so the onion is in contact with the vinegar. Refrigerate until ready to serve. 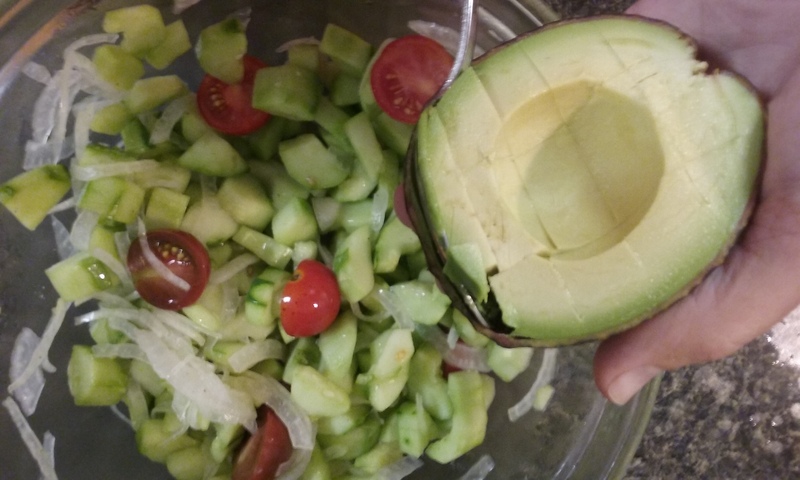 When you are ready to serve the salad, wash the avocado, slice it open, cut it in cubes while still in the peel, then scoop it out with a spoon. Mix into the salad gently. Add tomatoes or chopped bell peppers if using. 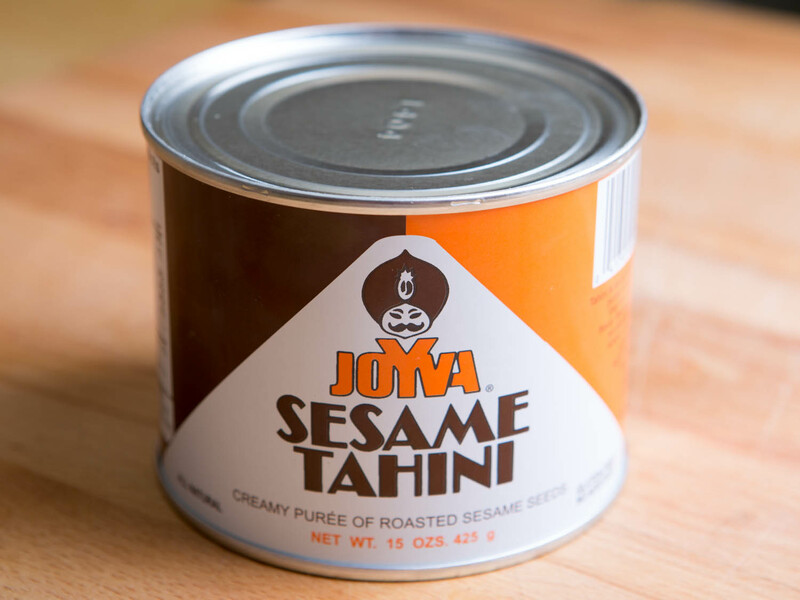 Have you ever used tahini in home cooking? It is a paste made from toasted sesame seeds. Tahini is high in minerals such as phosphorus, magnesium, calcium and iron. 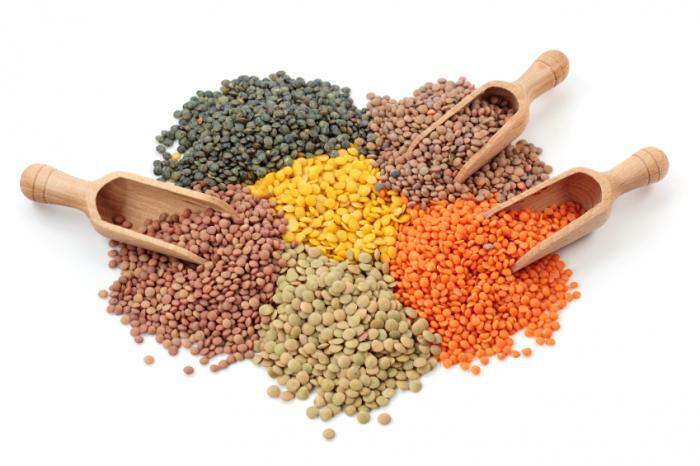 It’s also a good source of B vitamins, vitamin E and unsaturated fat. Sesame seeds provide a complete protein that is easier to digest than some other nuts. 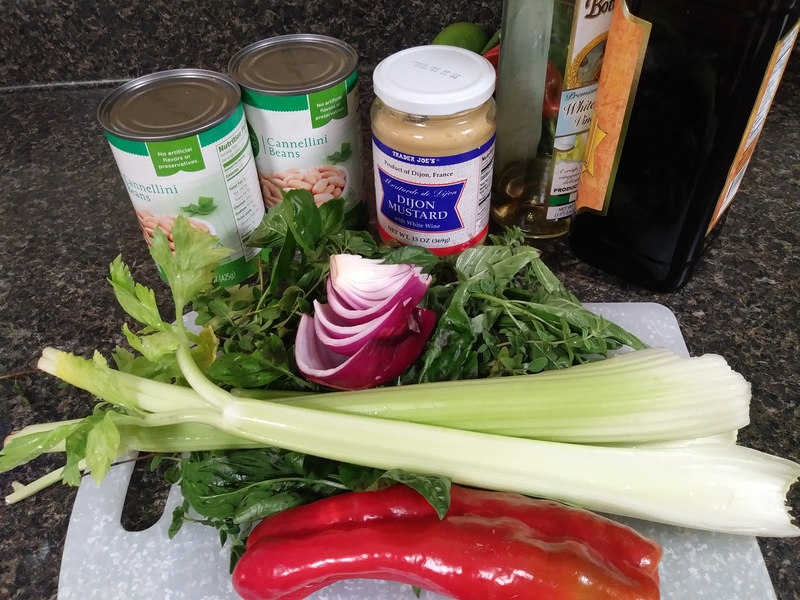 Tahini is a great addition to any diet, but it’s especially valuable to vegans, vegetarians, and people with food sensitivities and allergies because it provides creamy richness and lots of nutrition. This creamy and rich paste is an important ingredient in hummus, but it can be used for so much more. 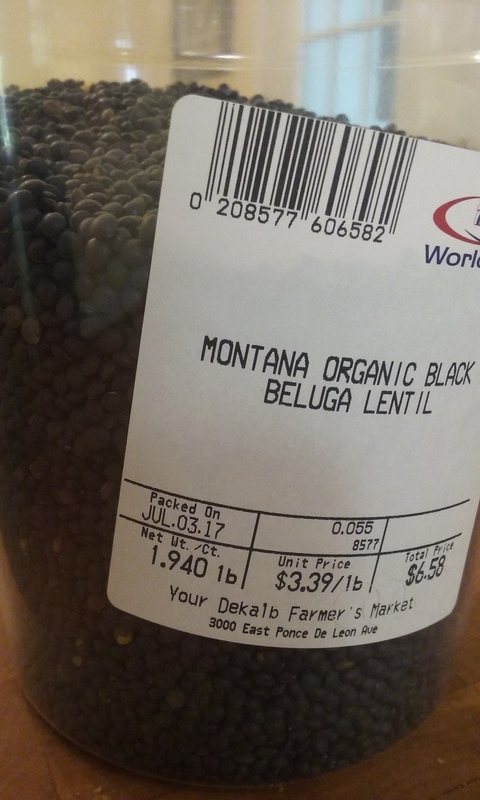 You can find it with the middle eastern foods at the grocery store, and it keeps well in the refrigerator. I’ve been exploring non-sugary treats and recipes this month, so I finally made a simple tahini sauce and it was super duper delicious! I could eat it with a spoon. 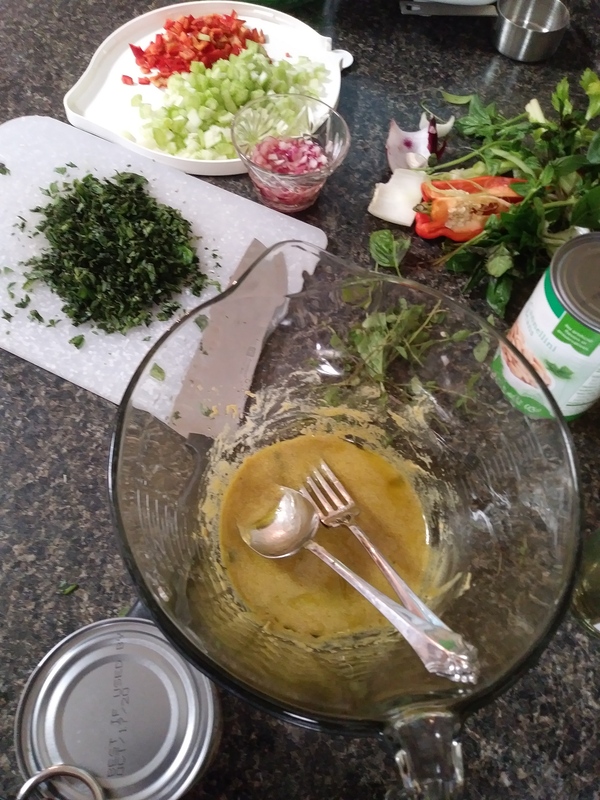 I used it as a dip for roasted vegetables, as a salad dressing, and spread on crackers for a snack. I love a simple tahini sauce like this one from Cooking Light. 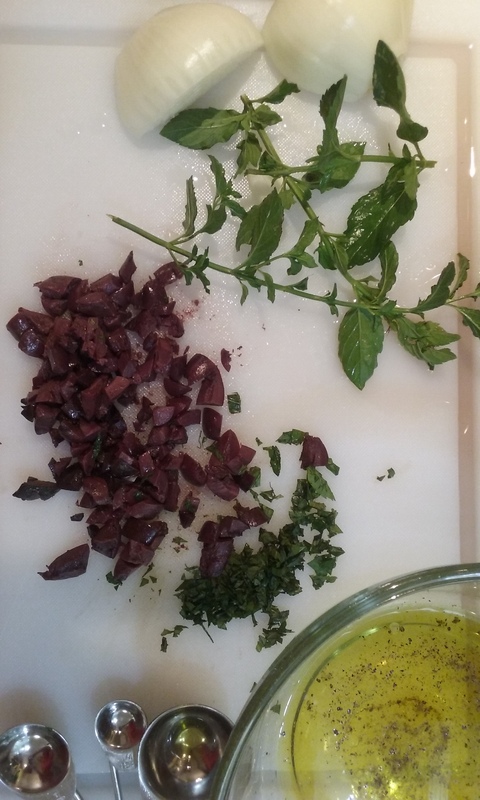 Click through for the recipe and notice the great tip for taking the bite out of raw garlic! All you need is a clove of garlic, a lemon, and tahini. I hope you will try it! Do you make resolutions in January? Each new year, I find myself feeling heavy and sluggish from too many holiday treats and loathe to go outdoors in the freezing temps. Each January I feel the need to address sugar cravings and a desire to feel healthier. I love cooking, baking, all the details, science, history and culture of food. However, sometimes it’s all just too much and I need to take a break. This year I’m focusing on healthy eating by cutting way back on sugar in January as part of a fresh start to a fresh new year. If you are interested in making some changes this January, here are some links, tips and recipes I’m considering as I move forward. Why am I doing this? I want to feel healthy and energetic, and I know from experience that I feel better when I eat very little sugar. Everything from my digestion to frequency of headaches to cravings and moodiness improve when I stop mindlessly consuming sugary snacks. We each have our own reasons for the choices we make – it’s important to know ourselves and find what is best for our own bodies. I’m adding vegetables to my diet, and I’ll eat all my favorite winter veggies such as roasted carrots and cauliflower. I’ll also make salads with lots of cheese and nuts, and make sure my fridge is stocked with things I like to eat so I don’t feel deprived. As you know I love to bake, so here are a few recipes I’ll be revisiting this month. Popovers (without the caramel sauce) are a sugar free treat. I made these this weekend – they are so good hot from the oven. Cinnamon Chicken – so easy! Quiche and frittatas will be on the menu – we love eggs! It feels so good to make healthy choices about what to eat. If you would like more tips and info about making changes to your diet, reading nutrition labels, or encouragement look for me on facebook @ Monticello Georgia Yoga. P.S. Am I cutting out dessert forever? absolutely NOT! I’ll be back with more sweet treats in a month or two. Here’s a delicious and nutritious salad for the fall. Farro is an ancient grain in the wheat family. Although it does contain gluten, it has less than modern varieties of wheat. 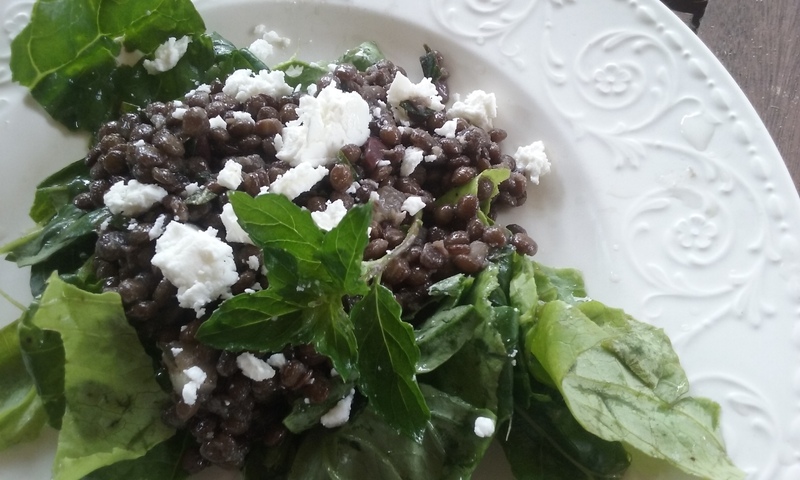 However, this recipe is easily adapted to a gluten free grain such as black rice. Farro is very nutritious and an excellent source of fiber, iron, b vitamins, zinc, magnesium and protien. This grain makes a chewy and satisfying salad when combined with roasted vegetables and fresh herbs. 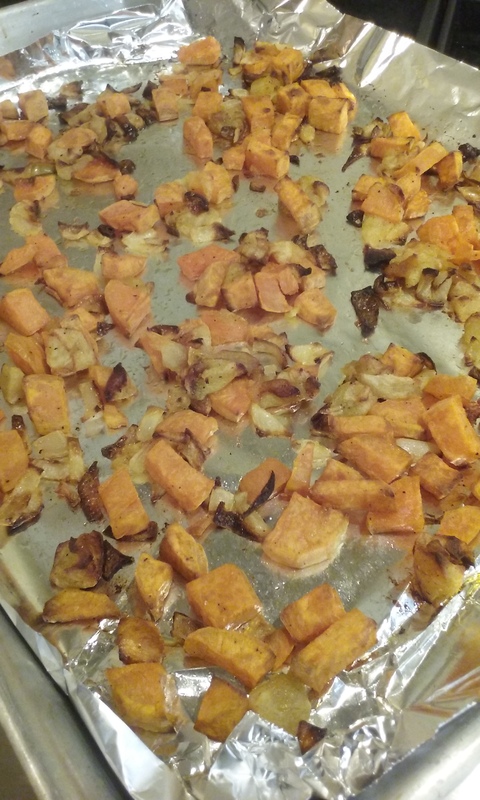 I especially like this combination with it’s mix of sweet potatoes, sour apples, and savory onions. Consider this more of a guide than an exact recipe. Preheat the oven to 400 degrees. Place the cubed sweet potato, apple, and onion on a foil lined baking pan and toss with about 3 Tablespoons olive oil, salt and pepper. Roast, stirring once, for about 20 minutes or until lightly browned and very soft. Meanwhile, cook the farro according to package directions with 1/2 teaspoon salt and a whole clove of garlic in the water. This grain will need to simmer for about 30 minutes. 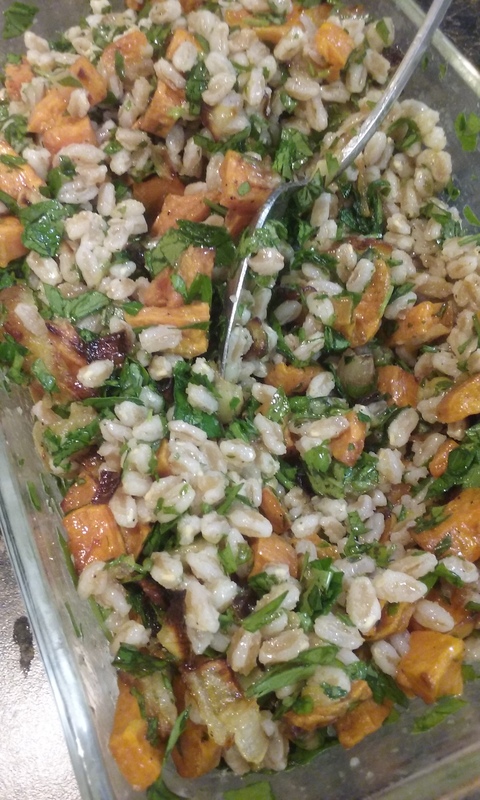 Drain the farro and toss with cooked vegetables and chopped herbs. Season to taste with salt and freshly ground black pepper and drizzle with olive oil. Serve warm or at room temperature. Look what I grew! 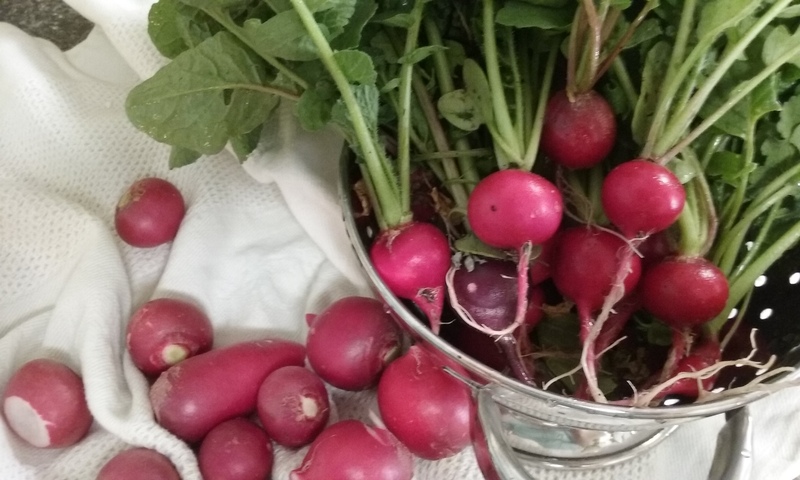 Radishes are so much fun to pull out of the dirt. Beautiful bright red and fuchsia bulbs just pop right out of the brown garden soil. The only question after planting the seeds (fun!) and pulling the radishes (also fun!) was what to do with them??? I’m not a radish lover, but I really want to eat what I grow. 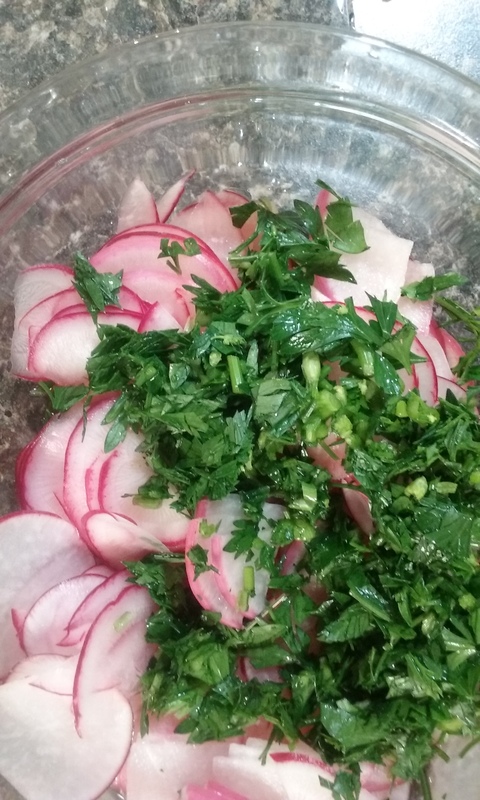 I’ve tried two radish salads this spring, and I really like this one. It’s very simple to prepare. It’s a nice balance of fresh and zippy with the comforting heft of the beans. Perfect for spring. Slice the radishes very thin. I use a mandoline so it’s very easy and quick. 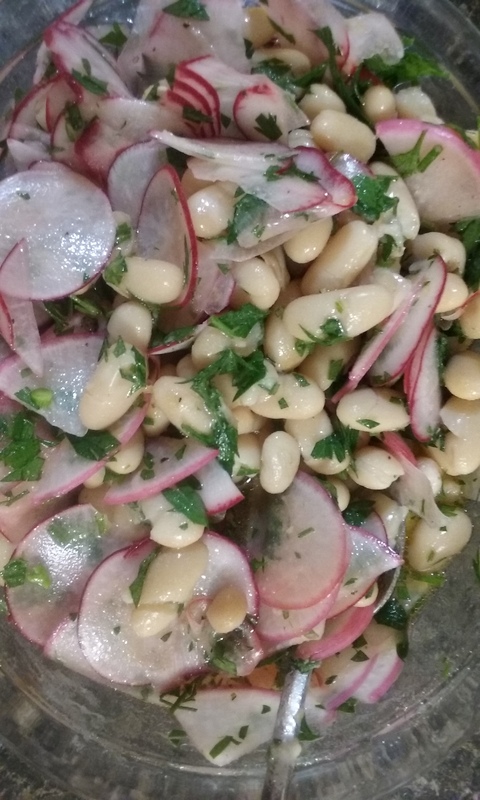 Zest the lemon over the radishes ( you can omit this if you can’t find an organic lemon). Add the lemon juice from your lemon. 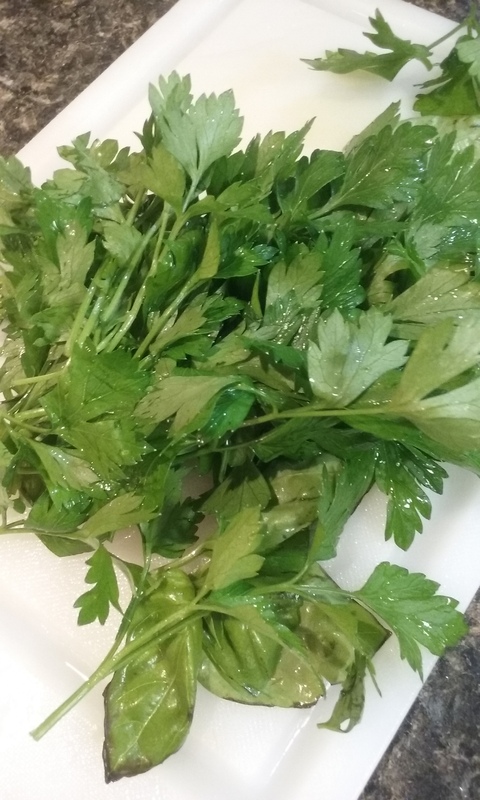 Chop the parsley and add it to the bowl. 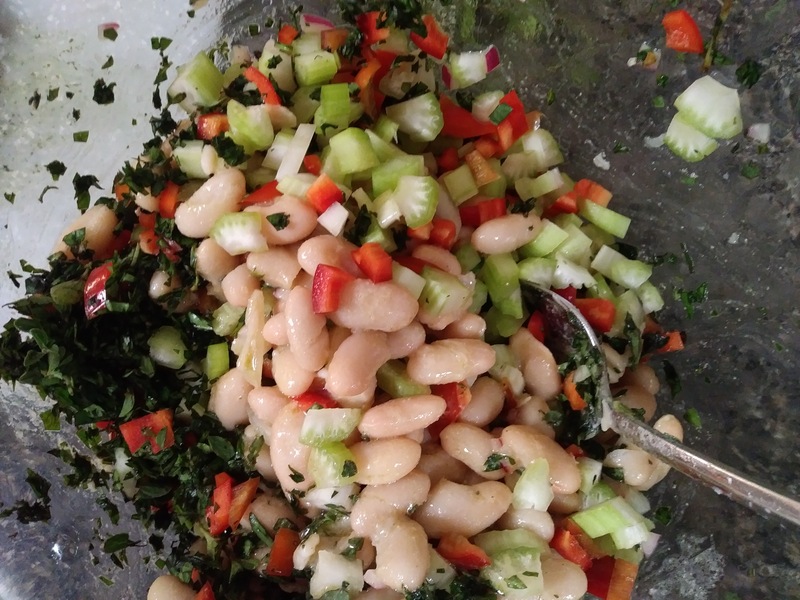 Drain the beans well and mix everything together. Add freshly ground pepper to taste and a good amount of olive oil – like 1/4 cup. If you’re not serving the salad right away, don’t add the salt yet. Salt will draw the liquid out of the vegetables and make your salad a little soupier. Just wait and salt it right before serving. I use a coarse sea salt. You could also add celery sliced on an angle to this salad.